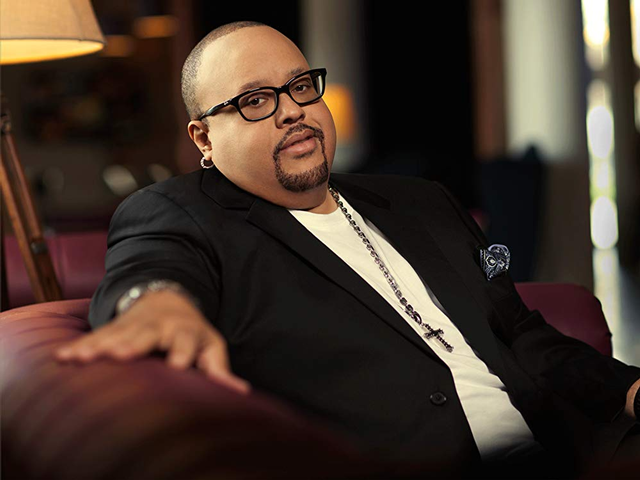 For more than 35 years, music lovers around the world have known Grammy Award winning Gospel artist Fred Hammond as a gifted vocalist, songwriter, musician, producer and arranger. But as his peers and supporters alike have so reverently declared, Hammond is without debate the architect behind the creation of a phenomenon in Gospel music, Urban Praise & Worship, a genre of gospel music that did not exist prior. As a result, Hammond has become one of the most respected names in the music industry. In fact, Essence Magazine (2017 Collectors Edition) names him in the esteemed list of the 50 Greatest Male Singers of All Time. Fred Hammond has been hailed as an Inspirational Music Icon whose music reaches people from all walks of life! Throughout his professional career, Hammond has maintained a reputation for excellence, and few gospel artists can boast of his consistency of record sales, radio airplay and concert appearances that Hammond has achieved over the course of his career. Fred has sold over 8 million albums and been a mainstay at the top of the Billboard Gospel Chart. His album "Pages of Life Chapters I & II" exceeded Double Platinum status and held the #1 position on the Billboard Gospel Chart for over 15 weeks. His album "Free To Worship" reached #1 on the Billboard Gospel Chart and was hailed as one of the year"s best-selling Gospel albums. Hammond has also received numerous awards including the Grammy, BET, NAACP Image, Stellar, Dove and GMWA Excellence Awards.